The political scene in Ukraine is just as disturbing as the economic situation, continued Mr. Sidelkovsky. Politicians are fighting constantly in the Rada (parliament), mainly over pensions and other benefits awarded to themselves. Ordinary people, especially poor people, live under enormous stress, which leaves them vulnerable to disease. Many people have lost hope. Mr. Sidelkovsky said that he does not understand how individuals manage independently, without help from someone else or from a welfare organization. Other than the distribution of food and medicines, perhaps the most popular Adopt-a-Bubbe program is the warm home day centers, which are held in the apartments of participants. Adopt-a-Bubbe currently operates two warm homes in Dnipropetrovsk (one on each side of the Dnipr River) and ten others in its service region. Twelve to 15 seniors attend each warm home every month, with some people rotating in or out each session so that more indi-viduals are able to participate. The hostess prepares some dishes, but guests bring others so that the hostess is not overwhelmed and more people feel valued. In addition to consuming a hot, nutritious meal, participants cele-brate birthdays and holidays, sing, dance, watch videos, and take part in other activities. The opportunities for socializing and for intellectual exercise are just as important as the hot meal, said Mr. Sidelkovsky. Mr. Sidelkovsky acknowledged that the Joint Distribution Committee had initiated the warm home program and then abandoned it as a consequence of budgetary pressures. He believes that Joint is embarrassed by Adopt-a-Bubbe success with its expanded version of the original JDC concept and noted that Joint in Dnipropetrovsk has tried to resume its own warm homes on a limited basis. However, said Mr. Sidelkovsky, Joint brings cooked food, rather than permitting participants to derive satisfaction from preparing their own meals. Further, Mr. Sidelkovsky said, JDC has been unable to replicate the joyous atmosphere typical of Adopt-a-Bubbe warm homes. 19. 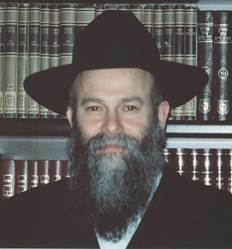 Rabbi Shmuel Kaminezki is the Chief Rabbi of Dnipropetrovsk and is regarded by most observers as the most effective community rabbi in all of the post-Soviet successor states. He has built an unparalleled community infrastructure, deftly raising and managing funds from wealthy local Jews, international Jewish organizations, and the Boston Jewish community with which Dnipropetrovsk Jewry enjoys a twinning or sister-city relationship. Rabbi Shmuel Kaminezki, left, is widely regarded as the most successful community rabbi in the post-Soviet states. He has been in Dnipropetrovsk, a city of great historic importance to Chabad, for 20 years. In response to a question about the local economy, Rabbi Kaminezki said inflation remains a major problem. The local Chabad infrastructure, he said, must raise 20 percent more than the previous year simply to maintain services. Real estate and property development have been hit hard, he continued, but most other businesses are managing. He has heard of very few business bankruptcies, he said. However, he observed, many people are working in the “black economy” so that they or their employers are able to avoid paying taxes; the tax schedule is unreasonably high, impeding business development. Rabbi Kaminezki noted that state pensions are being paid on schedule and that the currency exchange rate remains stable, two factors that boost confidence in the economy. Regional (oblast) governance is very important; the governor of Dnipropetrovsk oblast is exceptionally competent, stated Rabbi Kaminezki. Only 36 years old, the governor has taken various measures to encourage business development and diversification of the local economy; he is close to President Viktor Yanukovych and to other people in power (in Kyiv). The governor, Alexander Vilkul, also is very concerned about improving traffic conditions, Rabbi Kaminezki added, and is mindful of ecological concerns. Rabbi Kaminezki confirmed reports that the writer had heard earlier concerning the forthcoming development of a Dnipropetrovsk-based residential yeshiva katana (junior yeshiva) for sons of Chabad emissaries throughout Ukraine. The yeshiva would accommodate boys from the age of about 10, many of whom would commute to their homes on weekends. No site has been selected yet, Rabbi Kaminezki said, but it is likely that such an institution will open within the next several years. Neither of the two current options – an existing Chabad yeshiva katana in Moscow or any of several such yeshivot in Israel – is satisfactory, due to distance and other factors. Rabbi Kaminezki spoke with great satisfaction of the development of a new fund established to assist Chabad rabbis in smaller Jewish population centers. Supported by Rafael Rutman, a British businessman in Kyiv, and other donors to Chabad, the fund is directed toward the maintenance of day schools and other community institutions in smaller cities in which local donors are difficult to find. Chabad centers in the largest Ukrainian Jewish population centers – Kyiv, Dnipropetrovsk, Kharkiv, Odesa, and Donetsk – are ineligible for support from this fund. The fund is managed from Dnipropetrovsk, the largest Chabad community in Ukraine and the seat of the Chabad Federation of Jewish Communities in Ukraine. Throughout the writer’s visit in Dnipropetrovsk, the local Chabad community was abuzz with excitement about the then-forthcoming marriage of Yehudis Kaminezki, the eldest child of Rabbi Shmuel and Chana Kaminezki. The wedding, with a guest list numbering 1200, took place in the Dnipr Arena, a football stadium, early in June. The marriage of Yehudis was the first wedding of a Chabad emissary child in the post-Soviet states after the collapse of the Soviet Union. 20. 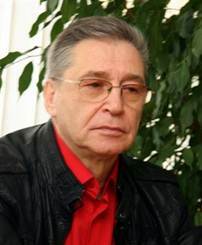 Vyecheslav “Slavik” or “Zelig” Brez is the Executive Director (Исполнительный директор) of the Philanthropic Fund of the Dnipropetrovsk Jewish Community (Благотворительный фонд Днепропетровского еврейского общины), which supports Chabad interests in the city. The 2010-2011 budget for the community is $4.8 million, a modest increase over the 2009-2010 budget of $4.5 million. However, said Mr. Brez, as of March 30 [the date of the interview], the Philanthropic Fund had only $4.2 million in cash and good pledges. He was very concerned about Chabad ability to support its summer camps and certain facility renovations scheduled for the summer months, he continued. Implementation of some new programs in adult Jewish education has been delayed. However, notwithstanding the uncertainty of the Chabad financial situation, the Philanthropic Fund had increased its allocations for care of the sick by 30 percent, most of which was designated for surgical procedures and medi-cations. It was imperative to assist ill members of the local Jewish community, Mr. Brez said; the cost of medical care had risen substantially, far beyond the means of many families. The Board of the Philanthropic Fund includes 85 members, each of whom contributes a minimum of $500 monthly to the Fund, responded Mr. Brez to a question. If a Board member falls behind in his payments, Mr. Brez continued, he may be retained on the Board for six to 12 months. A few individuals who had been removed from the Board for non-payment had recently re-joined the Board after paying all missed assessments. The Chabad community was anticipating continuing cutbacks in the allocation from Combined Jewish Philanthropies of Greater Boston, the Jewish federation in Dnipro-petrovsk’s sister-city. From a high of $200,000, the Boston allocation was expected to dip to $120,000 in the current fiscal year. Boston funds support designated program areas, such as Beit Baruch, the hip replacement program, food at School #144, and the Big Brother/Big Sister program. Board members serve on certain functional committees, such as Jewish education, welfare, culture, media, and regional operations outside the city. However, said Mr. Brez, it is difficult to find individuals who are willing to chair these committees. Opportunity for leadership responsibility generally does not attract people to the Board, he continued. Two other Chabad emissary daughters were married shortly thereafter, one in Moscow and the other in Donetsk. The Dnipropetrovsk Chabad fiscal year coincides with the Jewish calendar year. The projected budget for 2008-2009 was $5.5 million, but this amount was slashed substantially in late 2008 after the onset of the international economic crisis. Allocations from the Boston Jewish community also support certain secular projects in Dnipropetrovsk, such as a women’s gynecology center at a local hospital and a pediatric care center at another hospital. The chairman of the Board of the Philanthropic Fund of the [Chabad] Dnipropetrovsk Jewish Community and its largest donor is banking magnate Hennadiy Boholubov. Mr. Boholubov has held this position since inception of the Fund.